We are dedicated to providing the best customer and patient experience. This means we strive at all times to offer prompt, dedicated, reliable and professional veterinary care for your pets. Our team cares passionately about the health and welfare of the animals who enrich all our lives. We are also very aware of the strong bond that exists between you and your pet, as such we strive to give you the best advice so you can make a fully informed decision regarding the most suitable preventative care, as well as any recommendations we make surrounding medical treatment, surgery or referral if required. We offer a comprehensive range of dedicated small animal services, while also being skilled in equine medicine, equine veterinary dentistry, equine reproduction and stud medicine. Our team of veterinarians and experienced veterinary nurses strive to provide the highest quality of care. 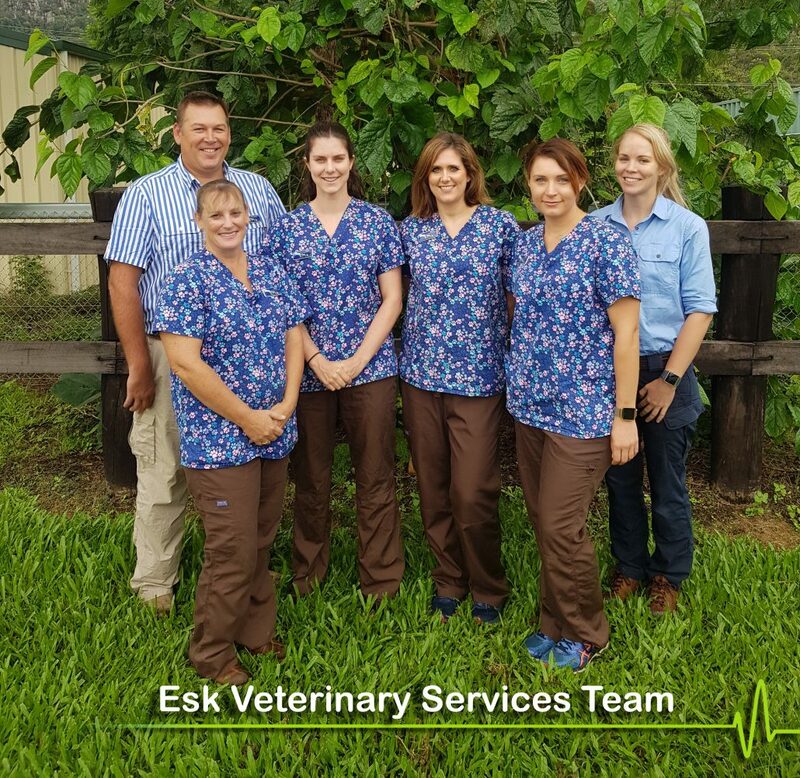 Our team are members of peak industry bodies – the Australian Veterinary Association, Australian Small Animal Veterinary Association, Equine Veterinarians Australia and the Veterinary Nurses Council of Australia. 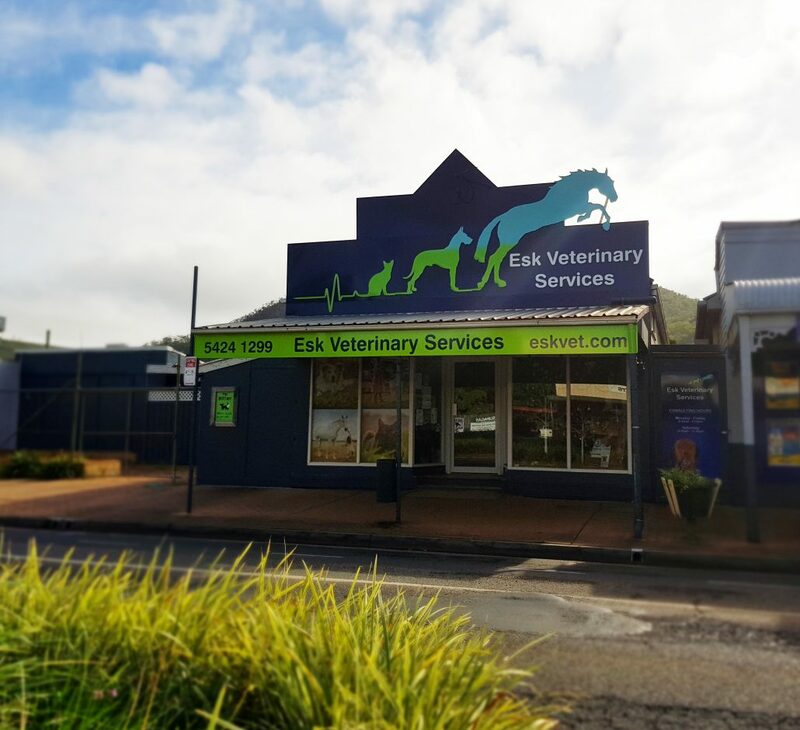 We are easy to find – on the main drag through Esk on the Brisbane Valley Highway.